I popped to my parents this afternoon and as I was parking up I noticed a nice looking dog down the street and as my husband was with me and Ethan I ran down to say hello. 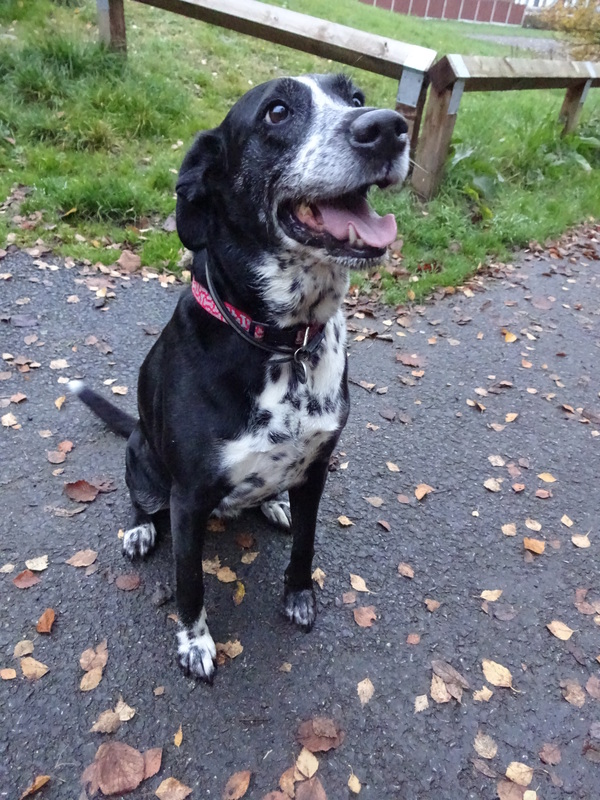 I met beautiful Jess, a German pointer and Border Collie cross. Jess is a friendly girl and she looked into my eyes to say hello! Jess is a rescue dog from Manchester Dogs home. She was taken in as a stray so they don’t know much about her back story but she had definitely had some training. Jess came to live with her current humans when she was 18 months old. Jess’s human sister loves her to bits and likes to dress her up; Jess was a pumpkin for Halloween! Favourite toy: Any squeaky and furry toys! Favourite pastime: Sitting on his human sister knee, Jess thinks she’s a lap dog!